Amazing! Looking very forward to making this off and on throughout the fall/winter season! So incredibly easy too. Simply throw everything into the blender and then heat it up. Magnifico! Combine all ingredients, except parmesan, into a blender and blend until smooth. Transfer to a sauce pan and heat to desired temperature. 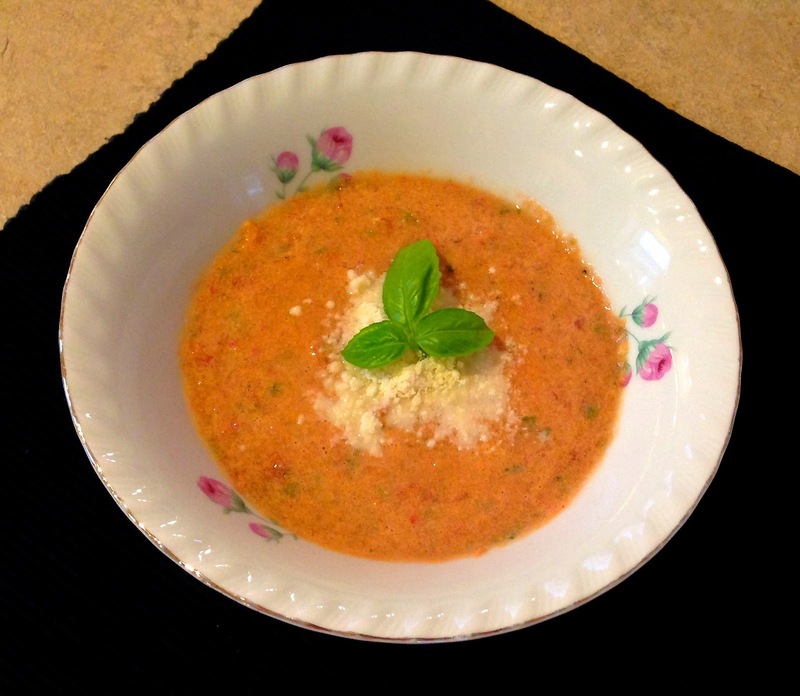 Add 1/2 Tbs parmesan to each bowl of soup before serving. You can also garnish with more basil as well. If you'd like a printer-friendly version of this recipe, Click Here.